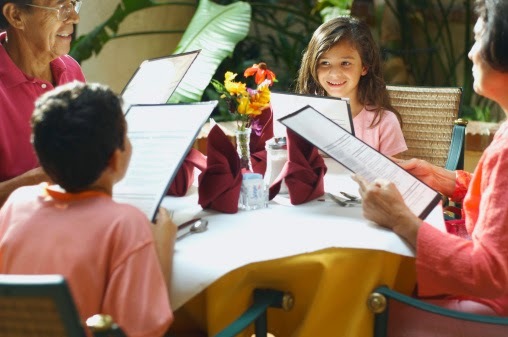 One of the joys of eating out as a family is the opportunity to let each person choose their own meal. For those with a bit more daring palate, that might mean trying something new. For others, it might mean ordering an old standby they know they'll enjoy. In either case, the person is more likely to enjoy their dining experience because they have the chance to order something that suits their own individual taste. Just as every person has their own unique palate when it comes to food, your customers have their own appetites when it comes to how they want to receive your marketing messages. Keep this in mind as you plan your marketing campaigns. Work to tailor your message (and media) to address the needs of the various types of customers you're trying to reach. Begin the process by developing several key buyer or customer personas. Your marketing campaigns should be carefully tailored to address the particular characteristics each of those personas share. For example, if you're marketing for a bank, the ads you use to reach consumers looking to save time checking their balances and making deposits might not be the same ads you would use to reach consumers searching for information on a reverse mortgage. The more precise you can make your campaign, the more likely it will be to succeed. Customers appreciate it when they feel as though a marketing campaign addresses their unique concerns and problems. When customers see advertisements that don't apply to them, they tend to ignore them. In some cases, they may even get completely turned off by the company involved. Taking the time to tailor your ads to address the needs of different groups of potential customers is the best way to start gaining new customers and improve the visibility of your company. Whether it's a night out with the family at a favorite restaurant or a marketing campaign aimed at gaining new customers, remembering the individual tastes of the people involved always makes good sense. A well-planned, well-focused, multifaceted campaign leaves customers feeling appreciated and increases the chance of reaching them when they're ready to buy. If you're ready to get started with your next marketing campaign, reach out to us to see how we can help you make it happen.